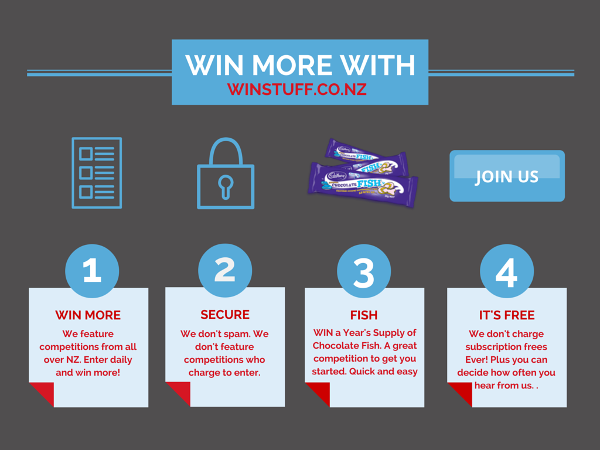 Win prizes at WinStuff.co.nz . All the best competitions from around New Zealand and updated daily. 100% Free to join with over 300 active competitions currently on the site.